Washington State 2019 Strawberry Festivals - Where, When and More Details! Looking for a strawberry festival in Washington State in 2019? (just scroll down the page)There is no other listing as complete and current as this list, just updated! All the strawberry festivals in Washington State we can find are listed on this page! If you love strawberries, look for a festival near you below! And I'm always looking for more strawberry festivals! Please write me, if you know of any to add! I update the dates as soon as the festivals publish their information, but you can always click on the links (usually the name of the festival) to see the current information on the festival's own website. Crossroads Park, Bellevue, WA. Phone: 425-450-1049. Email: [email protected]. The festival is a revitialization of an old Bellevue tradition, dating back to when strawberry farming was one of the region's most famous activities. The festival has been held in various places around Bellevue, starting (in its recent incarnation) on Main Street in Old Bellevue, moving to the downtown park, and most recently in the Crossroads Park. We celebrate Strawberries and community on the fourth weekend of June. Entertainment, an auto show, vendors, food, and family fun are all highly visible parts of the festivities. And, you will very likely see a strawberry or two (shortcake eating contests, strawberry flats, chocolate covered strawberries, and much more). This family oriented, historic community event features: Fresh, Strawberry Shortcake, Historical and agricultural displays, Games, clowns and face painting, Strawberry shortcake eating contests, Musical, artistic, athletic and dramatic Entertainment, Classic Automobiles, Food & Vendor Booths, Touch-a-Truck Event, And much, much more!. There is no charge for the contests. There is no charge to enter the festival, or for viewing the auto show, entrance to the Festival grounds, viewing or participating in any of the heritage events, viewing entertainment, or browsing any of the booths. Downtown Burlington, Fairhaven Avenue, Burlington, WA. 98233. Annual United General Hospital. Berry Dairy Days is one of the oldest festivals in Skagit County celebrating Burlington's history of agricultural and farming communities. 2018 marks the 81st Annual Berry Dairy Days presented by Skagit Bank. On the third weekend of June Burlington will explode with family fun activities, delicious food and be a place you won't want to miss. Join us in the Hub of Skagit Valley for a weekend full of entertainment. Including delicious strawberry shortcake, food, and craft vendors, spectacular City of Burlington fireworks show, Grand Parade, Kiwanis Salmon BBQ, free outdoor movie, live music, Berry Cool Car Show and so much more! Berry Dairy Days. Kick it off with our Strawberry Shortcake Booth staffed by the Burlington-Edison Cheerleaders! Follow the tractors from the Twilight Tractor Parade down Fairhaven Ave. to the Skagit River Park where there will be live music, food vendors, Kiwanis Salmon BBQ and a great firework show! Start your next day off with the Berry Dairy Days Road Run, Costco Grand Parade down Fairhaven Ave. Then... join us at for more festival fun! Vendors of all kinds, food, crafts, commercial, even a small farmers market! Also FREE kids activities, games, crafts, and pony rides. Wrap up your weekend with a Berry Cool Car Show lined up along Fairhaven Ave.
Marysville, WA. The first festival was held in 1932. The Marysville Strawberry Festival is one of the oldest continuing festivals held in the State of Washington. (over 75 years) Held in Downtown Marysville in beautiful Snohomish County, the Strawberry Festival has many events for the entire family. See this page for a schedule of events! Moran Prairie Grange, 6030 S. Palouse Hwy, Spokane, WA. Phone: (509) 710-7979. Email: [email protected]. Join for the 7th annual Strawberry Festival and Vintage Handmade Market. Antiques, vintage, local arts and crafts, salvage items, homemade strawberry shortcake, fresh strawberry lemonade and more. All ages welcome. Free parking provided. Proceeds benefit the Moran Prairie Grange Restoration Project. Vashon Island, WA. Various locations, the main events are primarily between Cove Road and Bank Road on Vashon Highway. Beer Garden: Starts at 7:00 PM on Friday Night July 21st. Opens Noon on Saturday and on Sunday at 11 AM until 5 PM! Pancake Breakfast Starts Saturday 7:00 AM and Sunday at 8:00 AM, in the Vashon Market IGA parking lot. VENDOR/ARTIST BOOTHS Open Saturday 10 am - 7 pm/Sunday 10 am - 5 pm. Grand Parade - Saturday 11 am with Kids Parade first. Portage Fill Street Dance Saturday 7 PM to 9 PM outside Sporty's. Tom Stewart Classic Car Parade - Sunday 11:45The Vashon Island Strawberry Festival is a treat for the senses. There is always an abundance of great food, refreshments and fun times for all ages! Some highlights include: The Grand Parade, the Classic Car parade, the K2 Fun Run, Kiwanis Pancake breakfast, music throughout the day, both Saturday and Sunday, Saturday street dances and fabulous food & vendor booths to pour over. Click here for a link to our Facebook page. Comments from a visitor on June 26, 2011: "Went to their June 26th Opening Day Cherry Festival. Lot's of activities for families with younger children. I picked about 70 pounds of Van cherries. Good price and the trees are very productive. No hesitations about recommending this place. Wish they had longer hours Monday thru Friday. " 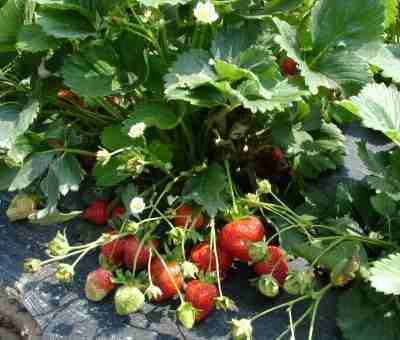 Biringer Farm - Annual Strawberry Fest-2018 Fun in Farmland Sat/Sun, June 16 & 17, 11:00am-3:00pm. Get to know your farmer and their great BF staff!